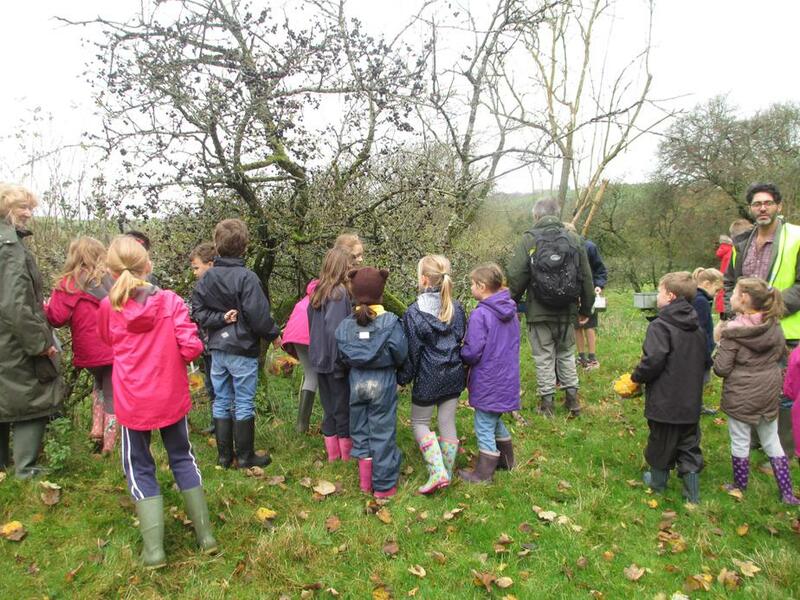 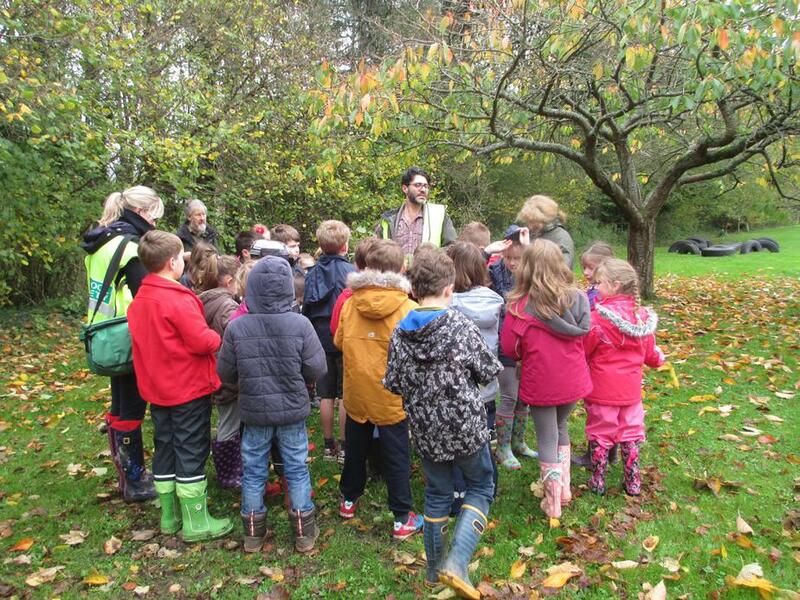 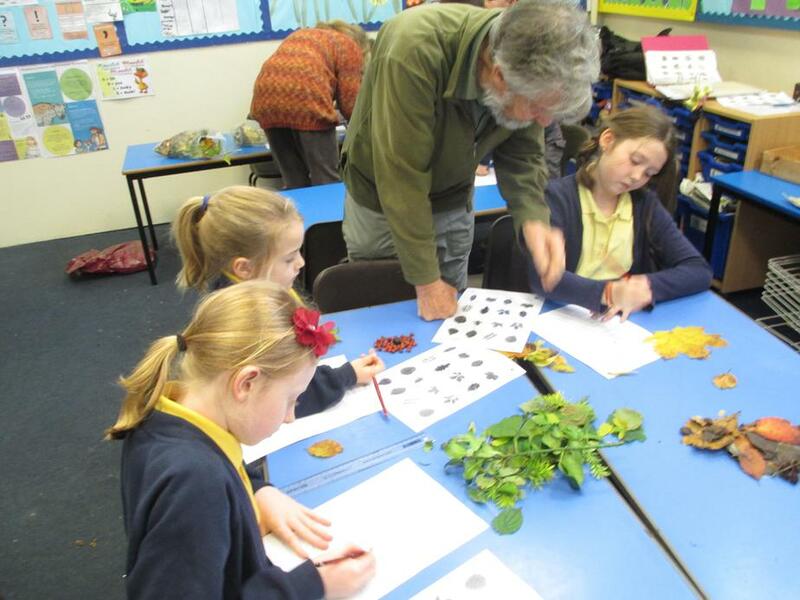 On Monday Trees for Dorset came in and helped us learn a lot about trees. 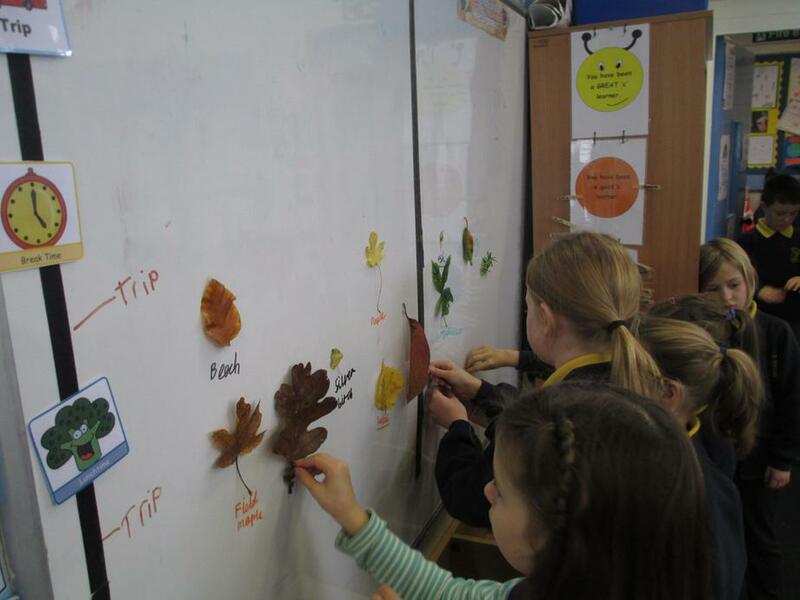 We started the day by collecting different leaves from around Cerne Abbas. 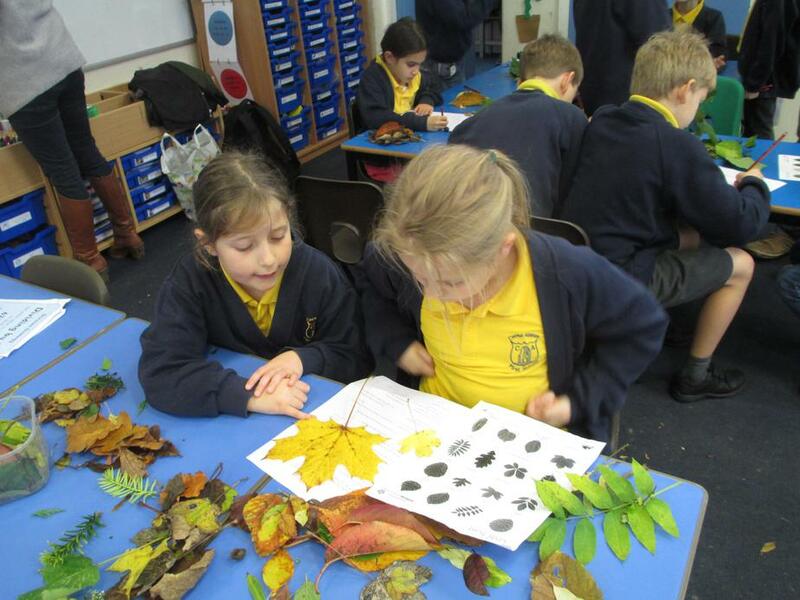 When we got back to school we sorted them, discussing how we were sorting them- by shape or colour. 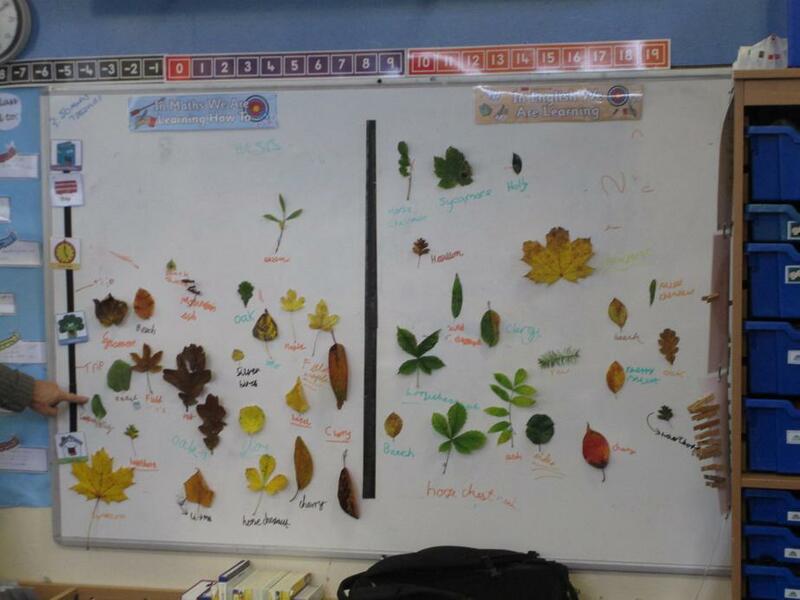 We decided that we needed to be a little more specific with sorting the leaves; we needed to identify them. 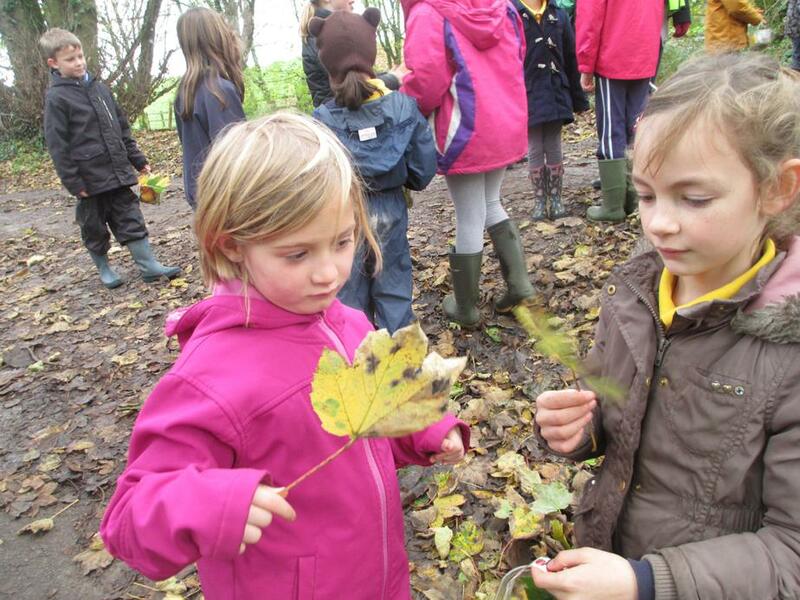 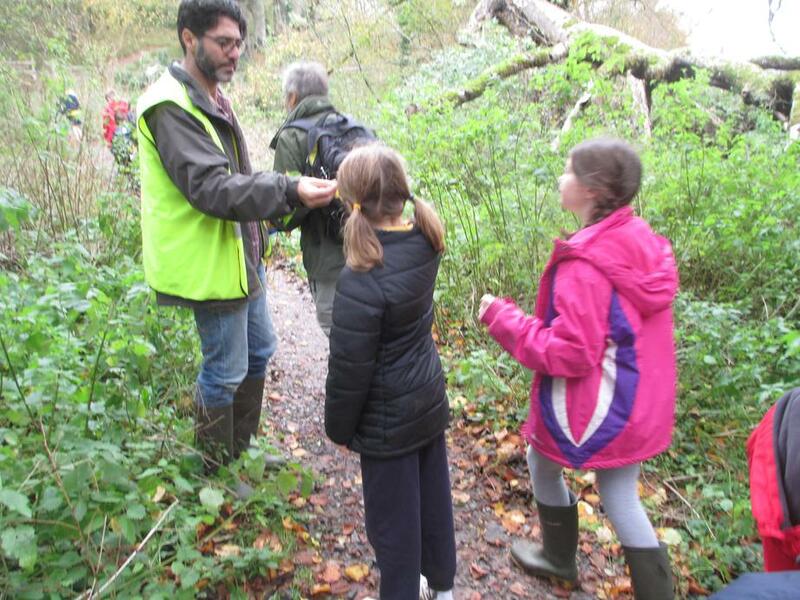 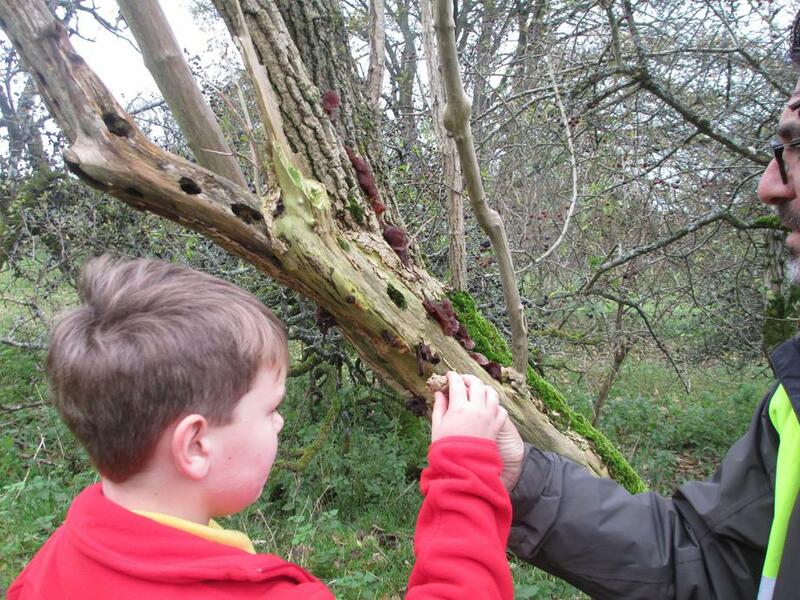 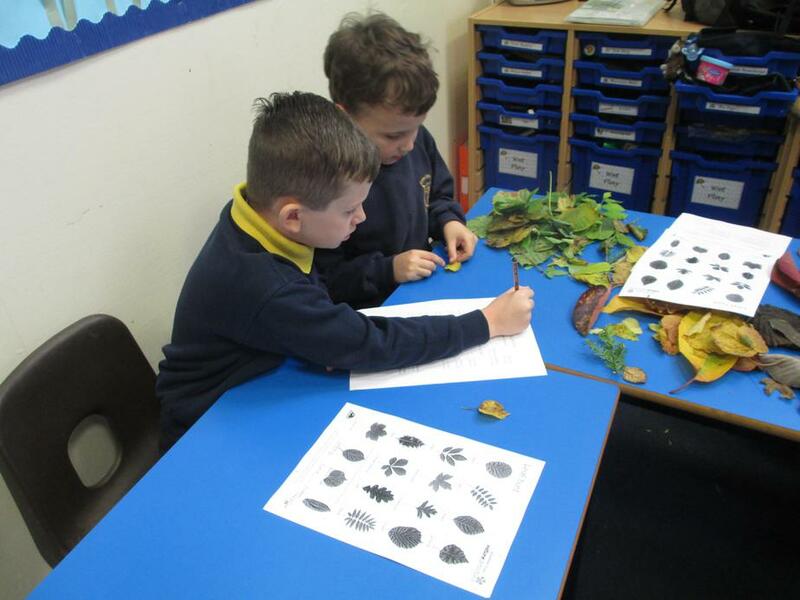 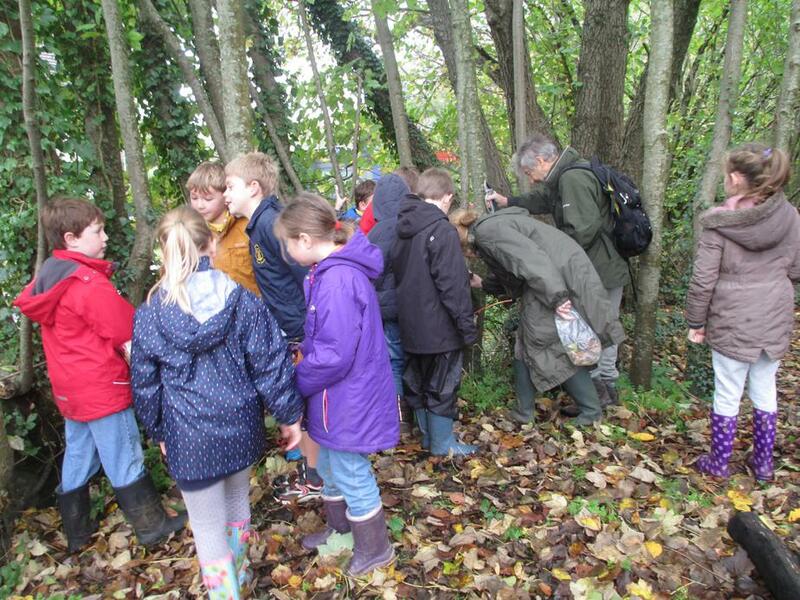 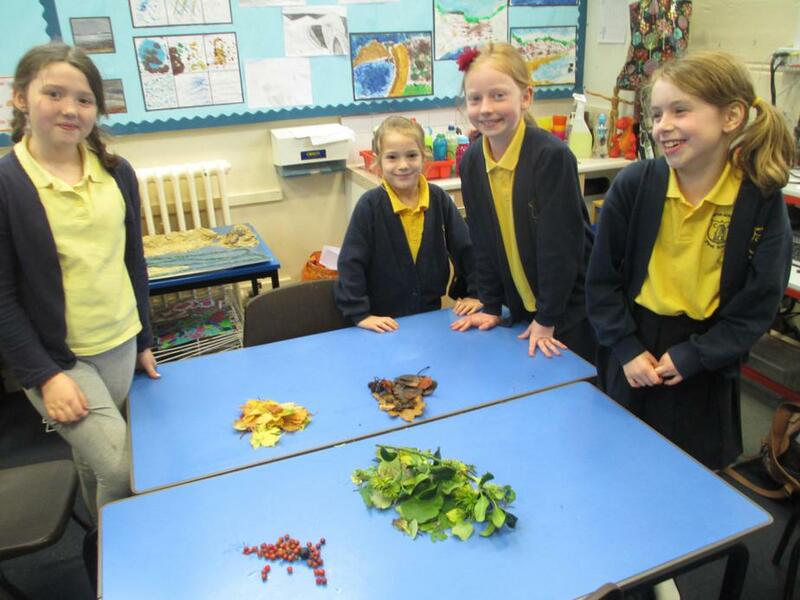 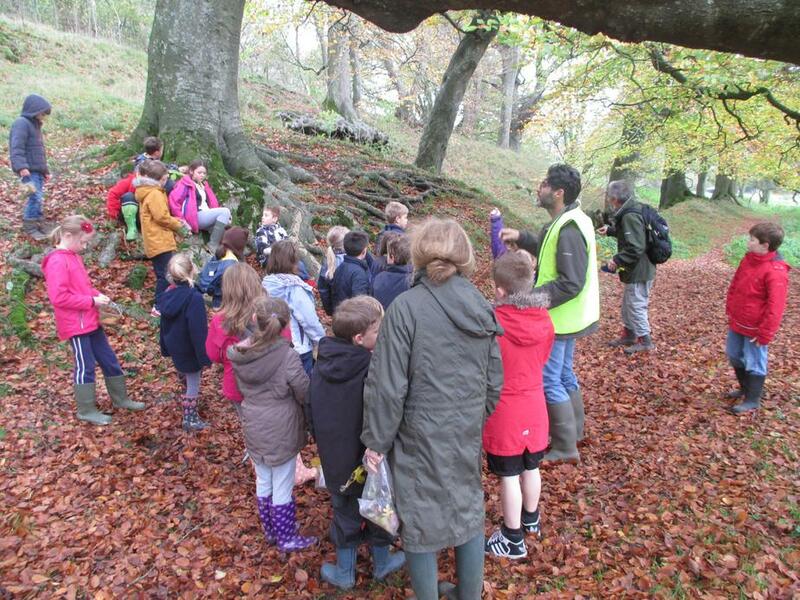 The children learnt to use classification keys to identify the leaves they had collected, as well as books and pictures. 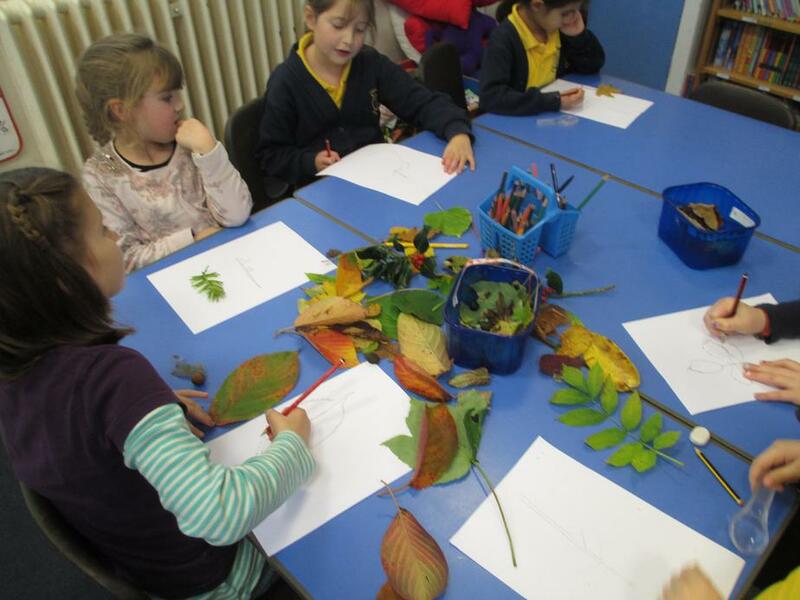 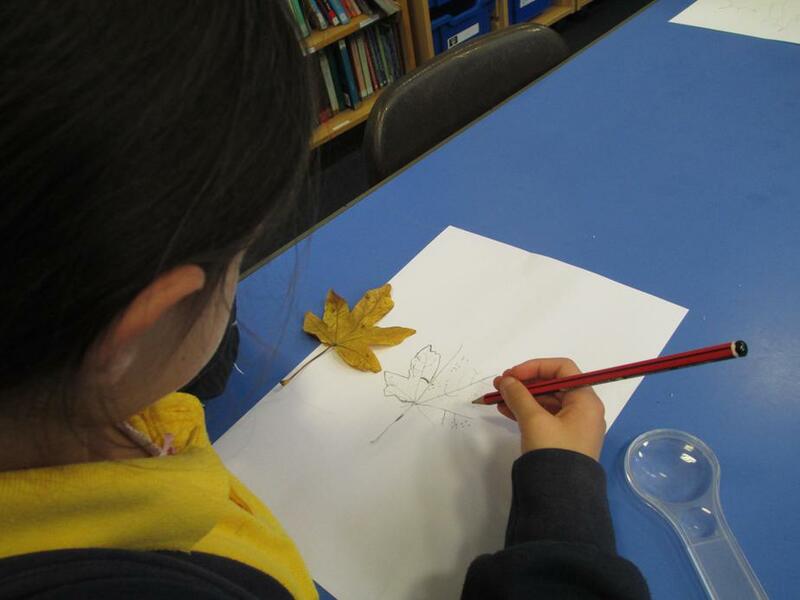 In the afternoon we made observations of our leaves by completing some fantastic observational drawings- the children were so considerate, looking so carefully at their leaves. 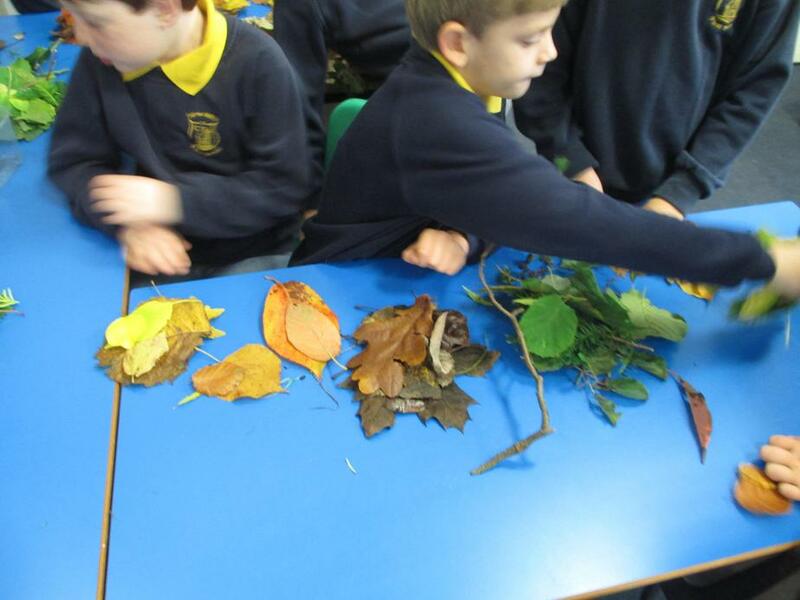 We also learnt where leaves go once they fall off the trees and the importance of the worms in this. 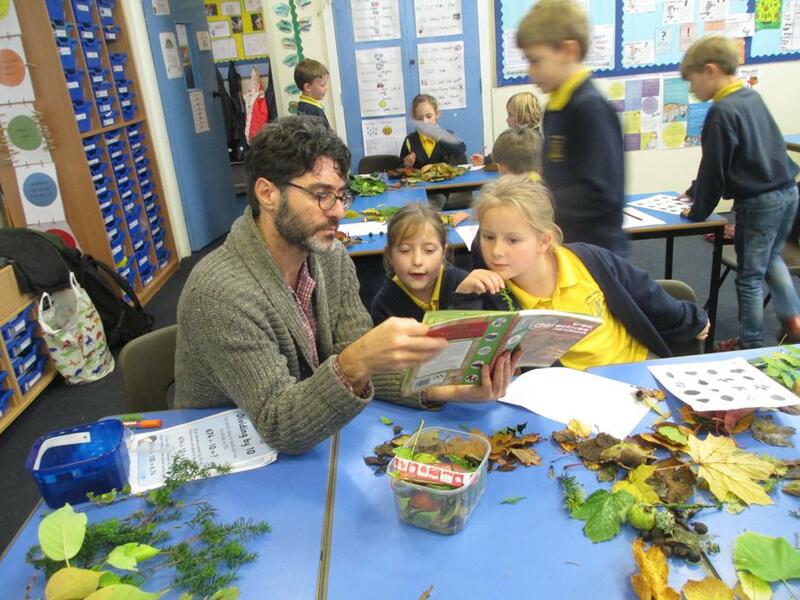 We learnt that worms eat the leaves- but which sort of leaf is their favourite? 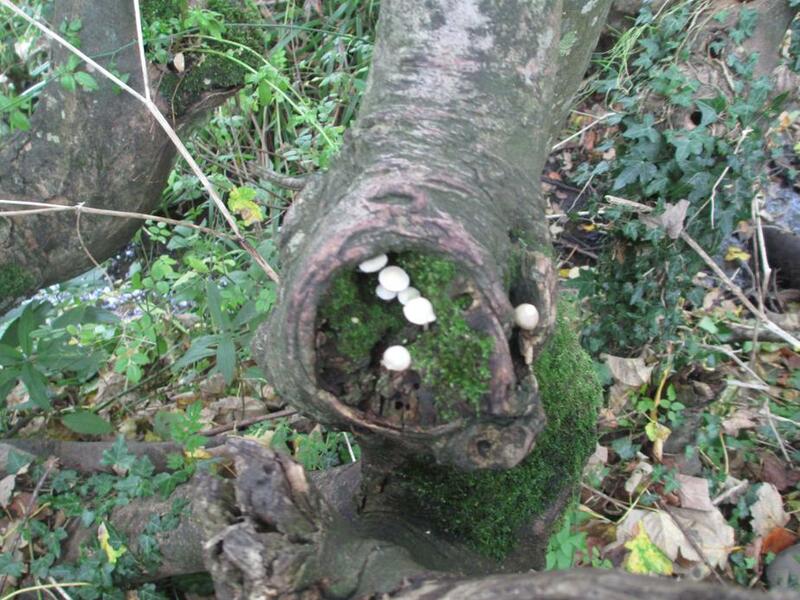 We have set up an investigation to find out and will tell you at Christmas the results!! 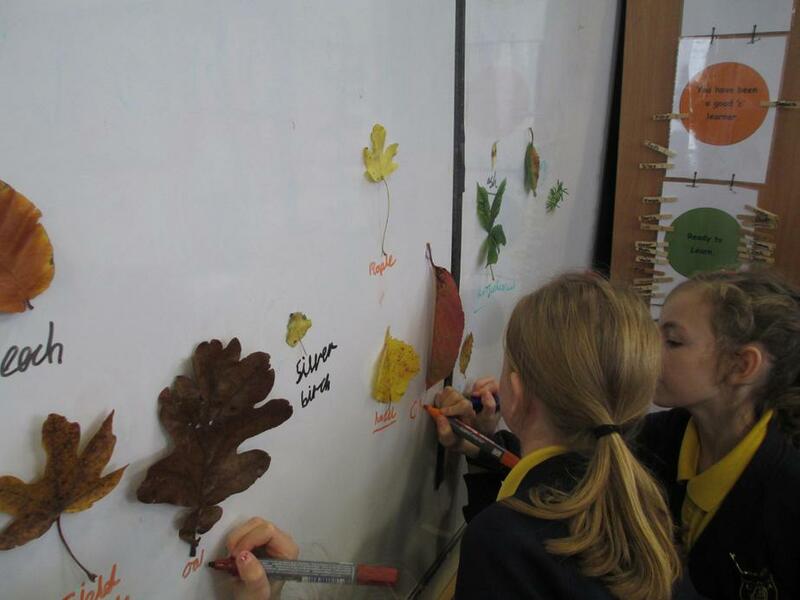 Silver birch is Abbey classes most popular prediction.